Service with a smile is our trademark at O’Keefe Ceramics. Your complete satisfaction is simply our pleasure. We will analyze your specific requirements and aid you in the selection of qualified ceramic materials. By understanding your needs, we see to it that your project will be successful the first time. We know great service is what keeps customers coming back and we take pride in our ability to be readily available to our customers. For dependable service, contact the friendly ceramics company, O’Keefe Ceramics. Our facility is located just west of Colorado Springs in the beautiful Rocky Mountains. PROUDLY MADE IN AMERICA BY AMERICAN WORKERS! 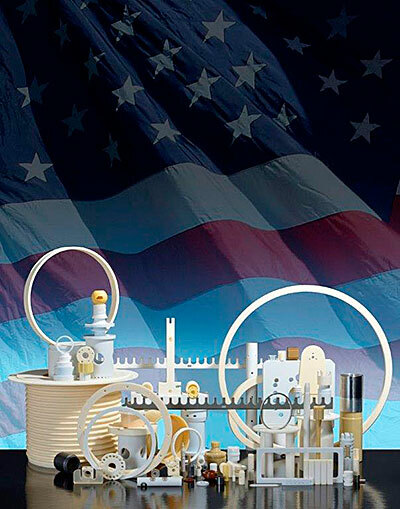 At O'Keefe Ceramics our mission is to continue to provide industries with a Premier World Class Supplier of Precision Ceramic parts, with uncompromised Quality, Service and Value. Founded in 1984 by Brian M. O'Keefe, we have been machining quality precision ceramic components for various industries for over 30 years. At our Colorado machining facility, we have the knowledge and expertise to collaborate with customers like you.